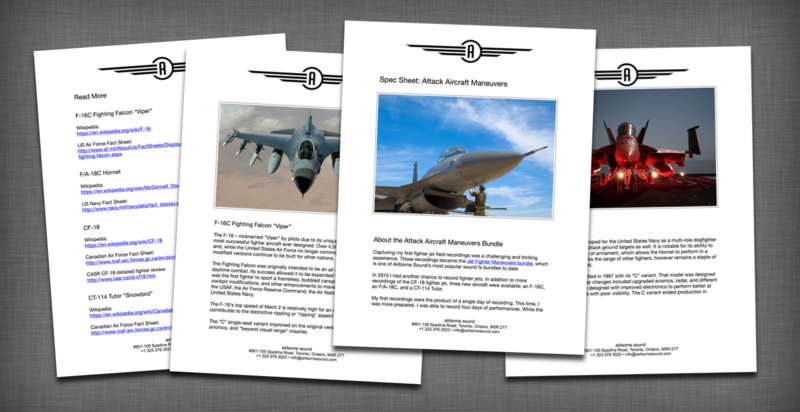 Attack Aircraft Maneuvers presents sound clips of military fighter jets soaring through the clear, blue sky. 118 sound clips (track list). Includes a bonus spec sheet with extensive details about the aircraft and the recording process. The takes include passes by, climbing, curling away, dive bombing, and inverted flying. 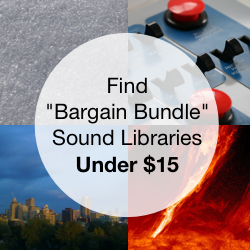 There are ripping passes, fiery infernos, whistling blasts, and ominous rumbles. Maneuvers range from slow to blindingly fast in a range of perspectives featuring close, thundering passes to distant, ambient maneuvering. Each clip notes aircraft position and performance in extreme detail. The majority of tracks were captured with the luscious Neumann 191 stereo shotgun microphone paired with a Sound Devices 722 recorder. 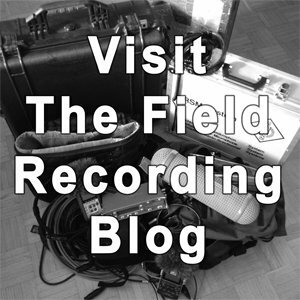 Some takes are matched with recordings from a Sony PCM-D100 recorder to provide clips with alternative tones and textures. 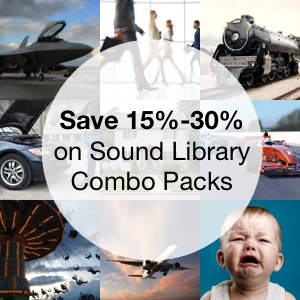 Do you need more fighter jet sound fx? 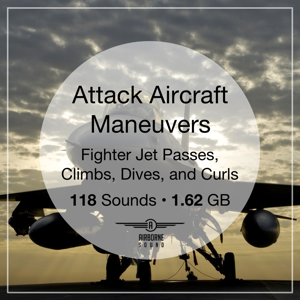 Check out the Jet Fighter Maneuvers sound fx library (41 clips, 607 MB, $39).